Director Tom Hooper has landed himself another directing gig. 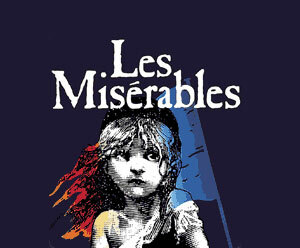 This time it is for the much anticipated musical film, “Les Miserables”. All of this according to Deadline. Tom Hooper did an outstanding job directing the HBO minseries, “John Adams” and of course his oscar winning directorial effort of “The King’s Speech”. If the deal is made, then I think this could be another Oscar winner. Hooper’s enthusiasm and talent will make this a success. Now I am not the biggest fan of the musical, but I still enjoy it. But I think by having this talented director, it will bring a new audience to the stage and story. Broadway’s Debut Of ‘Doctor Zhivago’: The Musical Sets Cast!!! This entry was posted on Sunday, March 27th, 2011 at 7:32 pm	and is filed under Film, Music, News. You can follow any responses to this entry through the RSS 2.0 feed. You can skip to the end and leave a response. Pinging is currently not allowed. « See Who’s Up For A Villain In Zack Snyder’s New Superman Film!!! !